Slim Jim in chrome, copper & antique brass and pewter. Asmex Anodized Aluminum in a variety of colors & laser engraved. 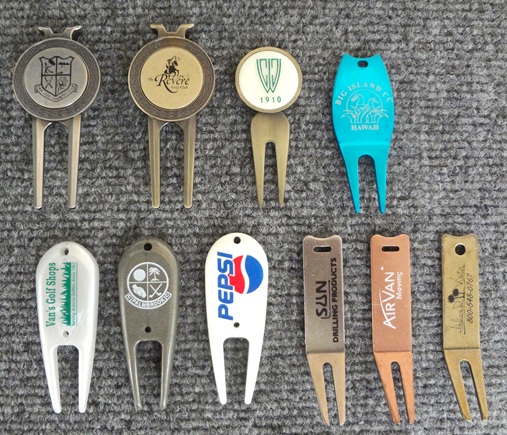 Metal Tools with removable ball marker. Printed with one or two colors. 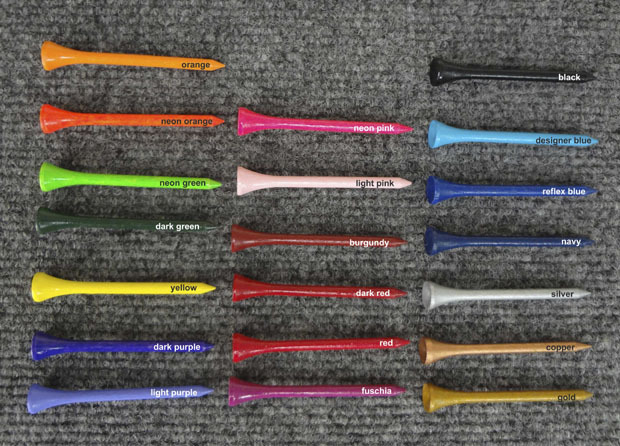 Plastic Repair Tools are in durable plastic and available in a variety colors. Click here to see a color chart. Divot Duster Tool with cleaning brush and groove cleaner. NOTE: To return here hit your back button after viewing the color chart.